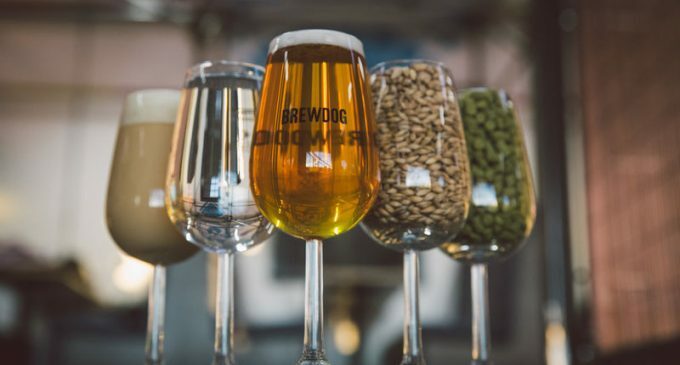 BrewDog has become the latest brewery to embrace veganism by registering 23 of its beers, including flagship brews Punk IPA and Five AM Red, with The Vegan Society’s Vegan Trademark. BrewDog is one of a growing number of breweries to reject the use of isinglass, the product derived from dried fish bladders historically used in the fining of beer. The irreverent Scottish craft beer brewery, which prides itself on pushing the boundaries in brewing, has in fact never used animal products in any of its beers throughout its nine-year history. The Vegan Trademark is the internationally renowned standard for products that are free of all animal use, seen on products since 1990. It will start appearing on BrewDog bottled beers and tap handles from March this year.